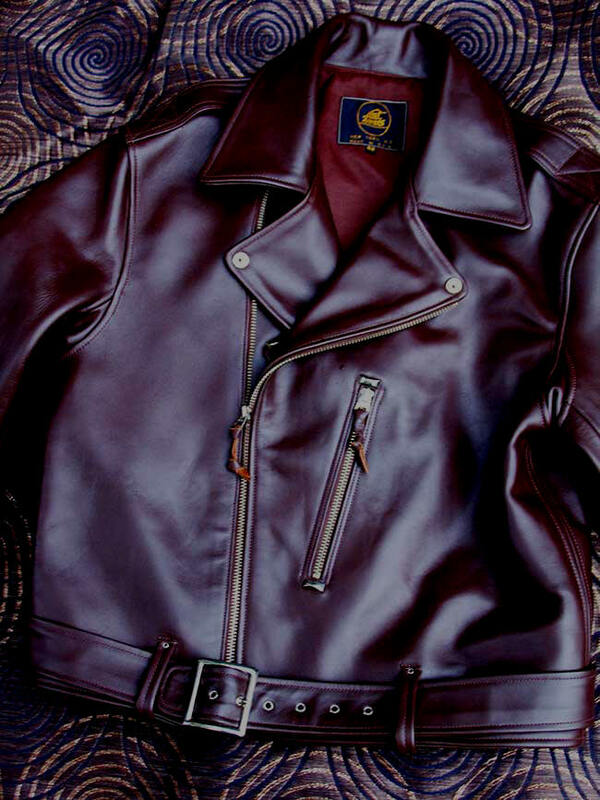 The unique BECK NORTHEASTER FLYING TOGS Horsehide Motorcycle Jacket was hitherto a Limited Edition LOST WORLDS offering but proved so popular, so esteemed we've made it Regular Production. 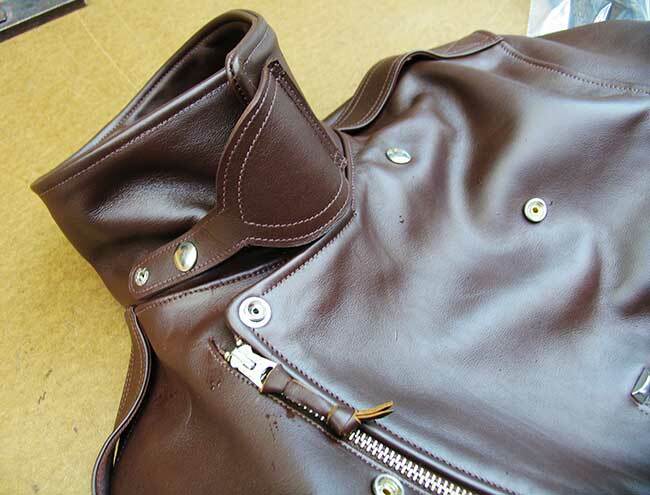 It's the most complex-, difficult-, detailed-to-make motorcycle jacket in our line. And second to none in beauty. 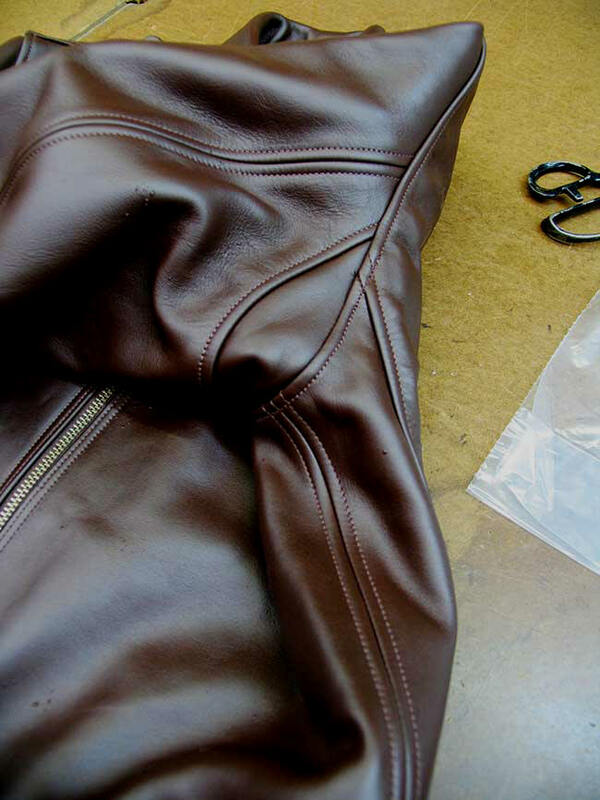 The intricate open-seam stitch construction -- simply a marvel of artisan craft given the weight of proprietary LOST WORLDS Horsehide -- takes virtually twice as much painstaking labor than any of our other motorcycle jackets, not a slouch among them as a matter of fact! When one wants to learn about quality, look at the seams, the stitch count; they educate. 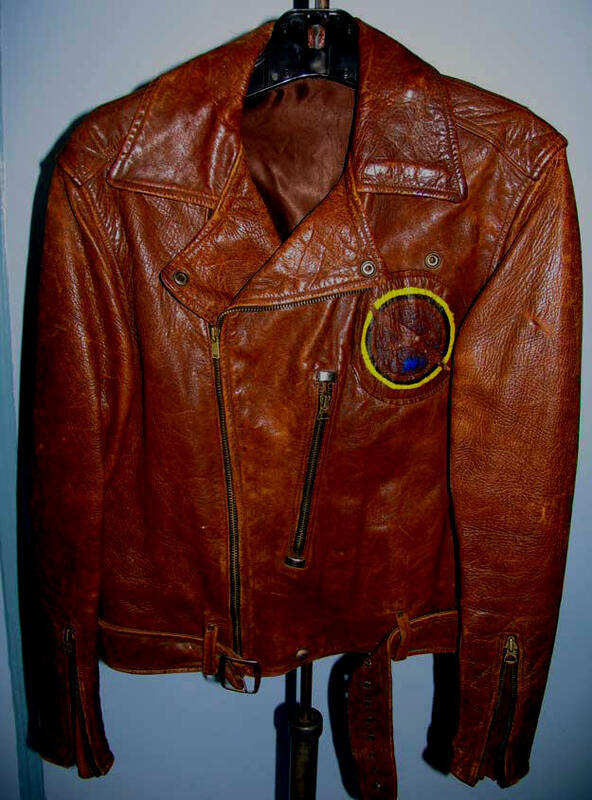 The history of this extraordinary jacket is fascinating. An AAF man stationed with the 101 Reconnaissance Squadron at Hyannis, Mass. 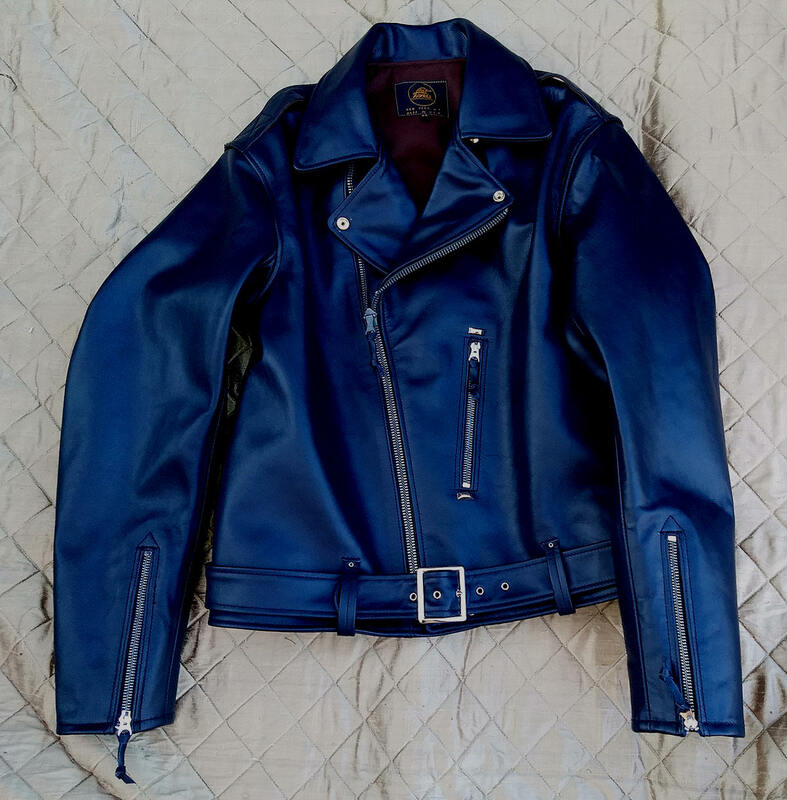 went to Leathertogs in Everett, Mass. before deploying to Europe and specified very particular details that would adapt to AAF usage. 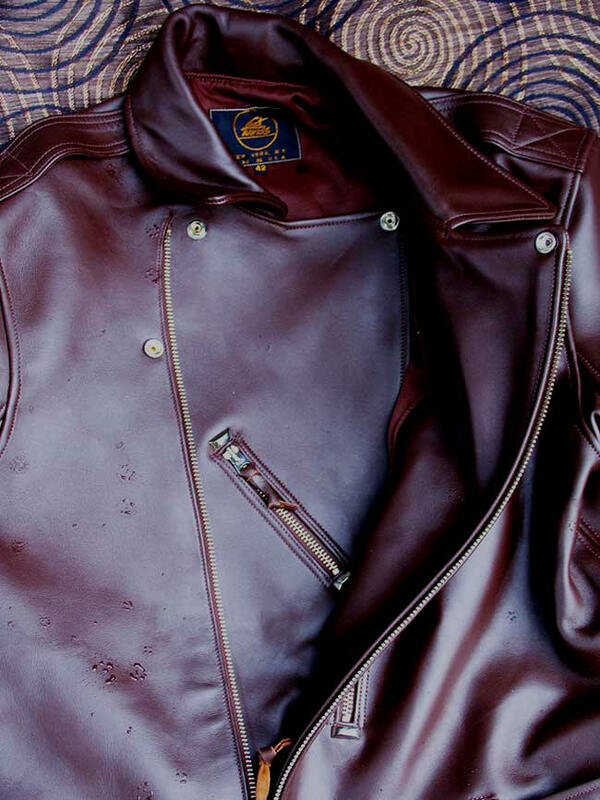 Russet Horsehide and sewn Epaulets emulate the immortal A-2 Flight Jacket. The peekaboo hidden zipper on the extended right windflap/panel might have been for a small automatic or escape documents. Extra snaps increase fuctionality throughout. An elegant shaped neck flap, like those on leather flight helmets, adds further refinement, visual candy and AAF relation. To reproduce this one-of-a-kind American classic we use, of course, our magnificent 4.0 oz. 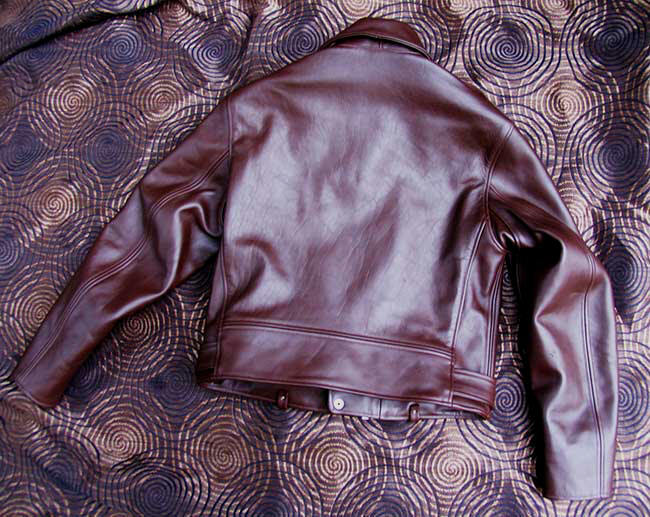 Russet Horsehide. The Lining --"Time Machine" NOS heavyweight pure Rayon Satin per the original, dating from the 1940s, including lined epaulets (!). Nickel NOS Talon Zippers and genuine US-made Nickel over Brass Garrison Buckle. 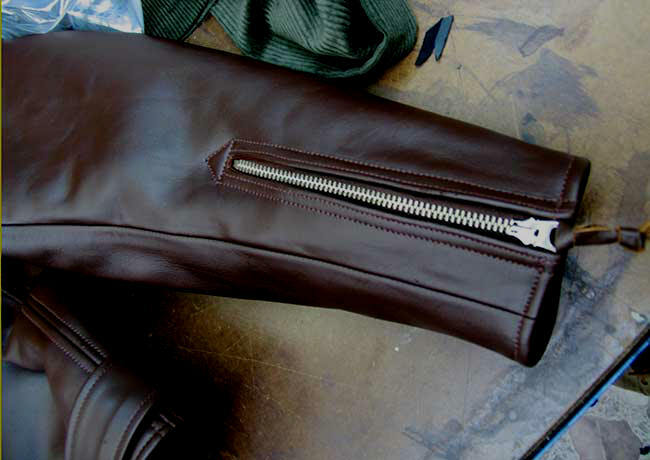 Riveted Belt Loops. US Nickel Scovill Snaps. Die-Cast Nickel Bars made for us in the UK accent the horizontal pocket edges. 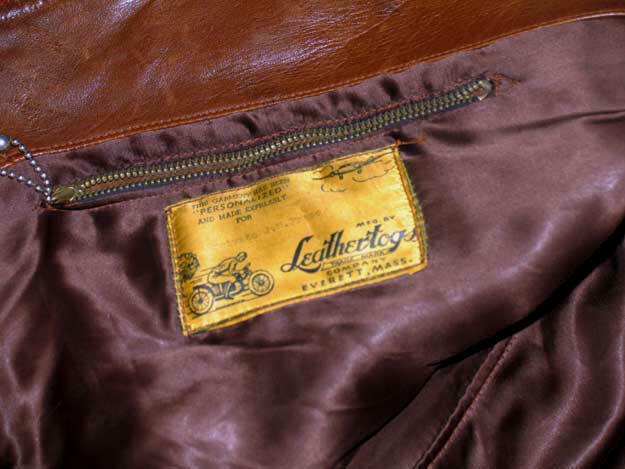 The LEATHERTOGS is a treasure and heirloom but foremost a wholly functional riding jacket of incomparable LOST WORLDS durability with the natural armor-like protection of our amazing American hides. 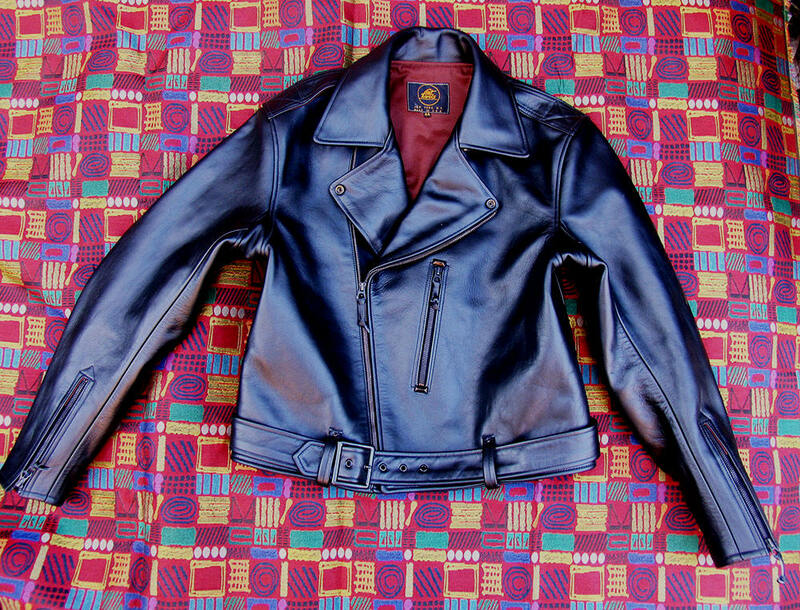 It's meant for the road although we're flattered our jackets end up the pride of collections. Sure, it isn't "cheap," it's a bargain. 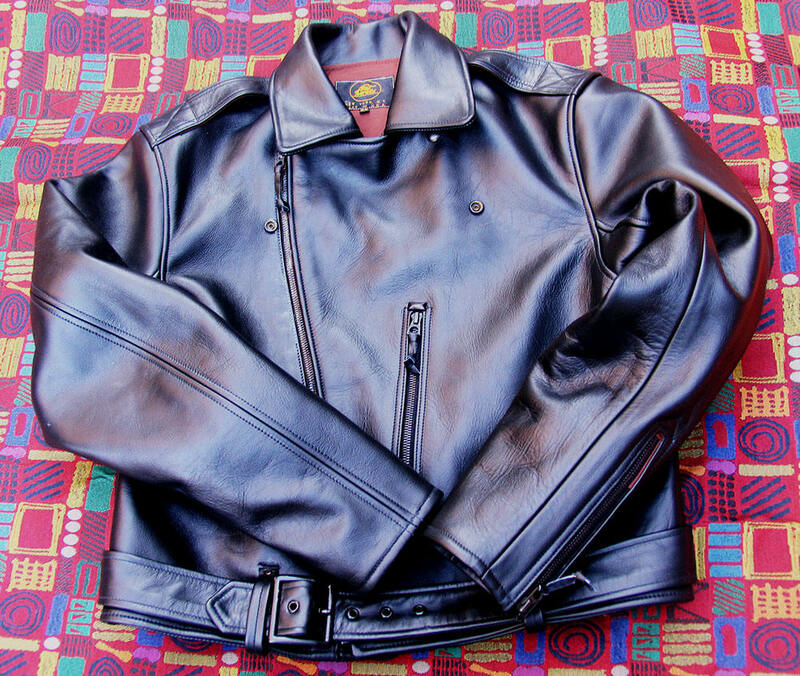 "I received my Leathertogs jacket yesterday. It's beautifully made and fits perfectly. 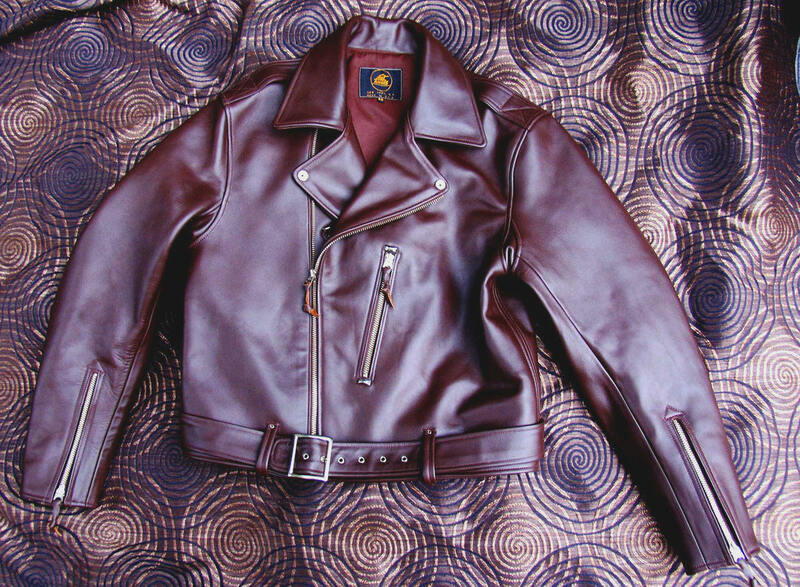 "The Leathertogs jacket arrived today. I just can't tell you how happy I am with it- it's truly a work of art in my mind. Thank you so much for making such amazing jackets! 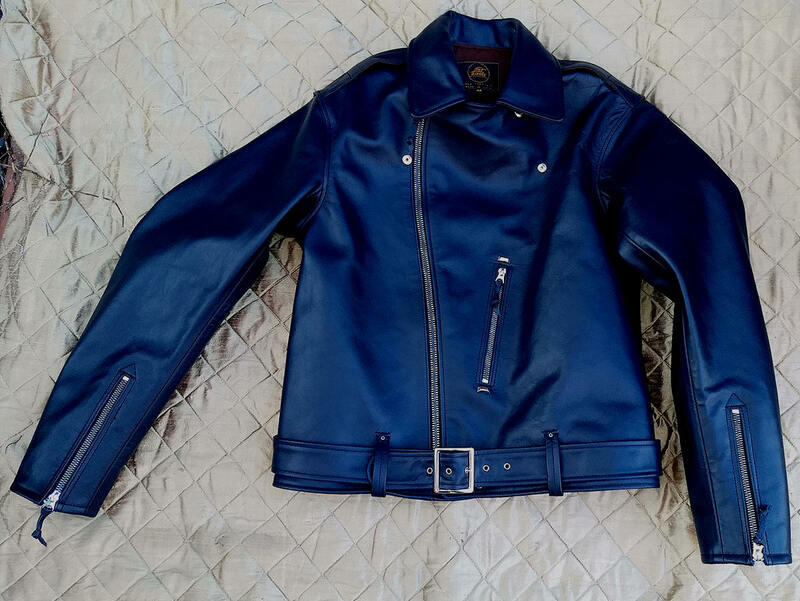 It's summer now, and hotter than hell in NM, but I will be wearing this jacket in the early mornings and evenings to break it in so it's ready for the fall and winter. There's simply nothing like Lost Worlds!" of Lost Worlds. Thank you and whoever built this amazing jacket at your workshop." Our Hides Love Rain. Do yours? 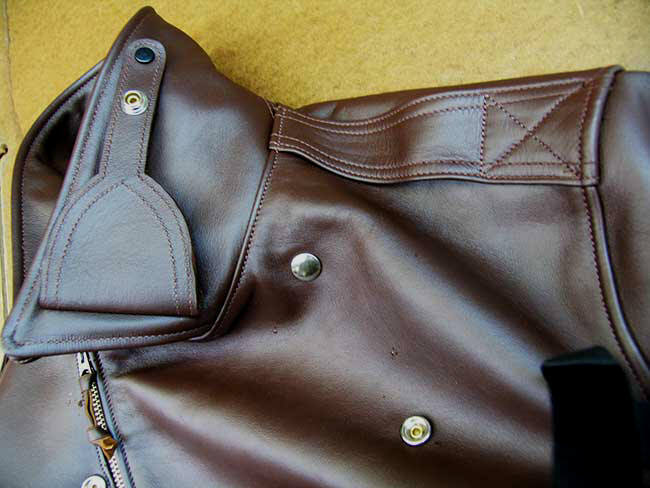 A very special Custom Leathertogs.